The north and west of Ireland is to benefit from an investment of over €3 million in research initiatives. The support has been granted to NUI Galway by an EU programme which supports innovative projects addressing regional challenges. NUI Galway will coordinate four projects and partner in an additional six as part of the Atlantic Area InterReg Programme. The national representative body for the Programme, the Northern and Western Regional Assembly, was at the University today (6 July) for the announcement. The NUI Galway-led projects are in the areas of sustainable fishing, biomedical devices, sustainable fuels and the marine economy. The Atlantic Area InterReg Programme’s objective is to implement solutions to answer the regional challenges in the fields of innovation, resource efficiency, environment and cultural assets, supporting regional development and sustainable growth. Countries who are part of the programme include France, Ireland, Portugal, Spain and the United Kingdom. David Minton, Director of the representative body for the Programme, the Northern and Western Regional Assembly, said: “The Northern Western Regional Assembly is striving to connect the strengths of our region and drive convergence to regional collaboration. Dr Anne Marie Power, Lecturer in Zoology and a member of the Ryan Institute at NUI Galway, is leading a project called CephsandChefs. The project will analyse ‘from sea to table’, the fishing and consumption of squid, octopus and cuttlefish (cephalopods). CephsandChefs will collect biological and socioeconomic data from different Atlantic area cephalopod fisheries to improve knowledge of the value chain and the factors affecting sustainability in the short and long term. Researchers will also investigate consumer eating habits in North and South Europe, and look at people’s willingness to adopt new products from this seafood class. This information will pave the way for the development and promotion of new products and new markets for the fishing and production sector, while ensuring the sustainability of fishing activity. 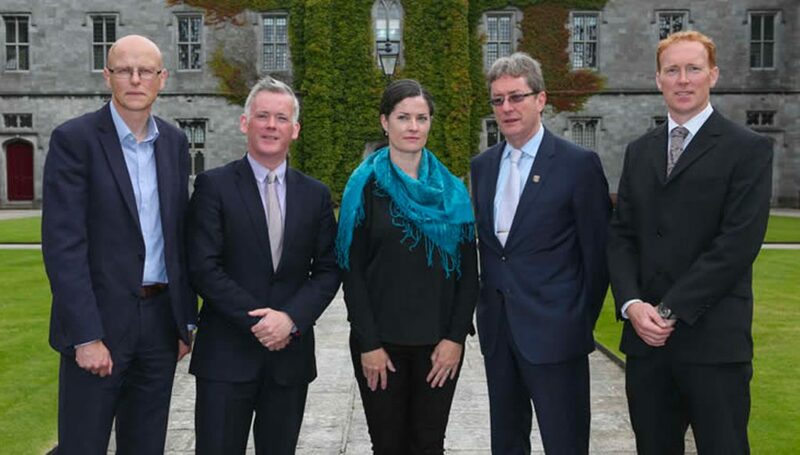 NUI Galway, is leading a project called ATLANTIC-KET-MED, which aims to create new innovation capacity by establishing an inter-regional pilot manufacturing ecosystem by developing both human and infrastructural resources. The project will apply key enabling technologies such as photonics, nanotechnology, printed electronics, bioprinting, additive manufacturing and advanced materials to make a new generation of medical devices. In the longer term, the project will help establish regional productive systems for extracting greater value from the marine based biomaterials along the Atlantic area. Dr Pau Farras, Lecturer in Chemistry at NUI Galway, will lead a project called SEAFUEL. SEAFUEL aims to demonstrate the feasibility to power local transportation networks using fuels produced by renewable energies and seawater, with no net carbon footprint. It will cover technical innovation by a demonstration plant in the Canary Islands. The project will then develop a framework for policy implementation and a sustainability analysis of production, distribution and usage of hydrogen as an alternative fuel in remote Atlantic regions including the Aran Islands. NUI Galway’s Whitaker Institute, will examine the size and growth of key strategic marine industries across the Atlantic Arc and will propose the ‘blue’ growth path for the sustainable development of the major sectors operating in the Atlantic space as envisaged in the Atlantic Action Plan and the EU Blue Growth Strategy. To achieve these aims, the project participants will build on the expertise gained in the EU INTERREG Atlantic IV project, Marine Atlantic Regions Network (MARNET). For more information about the Northern and Western Regional Assembly, visit: www.nwra.ie.